Your ceremony was magical; you are finally married! Everything is happing just as you have dreamed it would as you enter your reception to the roar of your guests. Successful, memorable events do not just “happen”. They take much planning, precision, and passion. The entertainment company that you hire will be responsible for some of the most long lasting memories from your reception. Your entertainer will also serve as your Master of Ceremonies during your reception. From your grand entrance to the last song of the night, your entertainer will be there guiding your guests. Your entertainer will also coordinate with all of your vendors – photographer, caterer, venue, etc – to be sure everyone is working from the same time-line and ensure that the flow of your reception is exactly as we have planned. As a company we also believe that excellent, professional equipment is required to accentuate your event. That is why we invest in top quality, trusted brands with all of our equipment, and always carry back-up – just in case. On your wedding day there is no "re-do" button, everything has to be right the first time. We invest our time, passion, and expertise in your event to make sure that is the case. After all, you only get one chance to make memories that will last a lifetime, let us help you plan your dream reception. 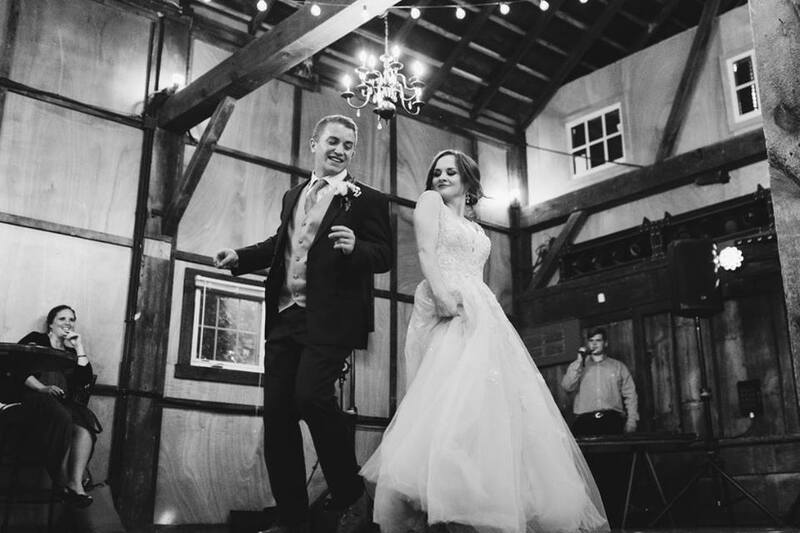 Jeremy and his team exceeded our expectations as our wedding DJ service. He was eager to accommodate all of our needs/wishes and made the process as smooth as possible for us. I appreciate his coordination skills with other vendors during our day. This allowed me to not worry about important details. I trusted him and his expertise, and he did not disappoint! The dance floor at our wedding was packed! It has been 3 weeks since our special day and we are still receiving compliments about the party on the dance floor accompanied by Flamingo Event Services and their expertise. Very professional, approachable, and timely communication during the entire planning process (18 month long engagement). He toured our venue before hand to better prepare himself for our wedding. He also played every song on our request list! Highlight of Flamingo Event Services is that Jeremy was able to accommodate multiple locations/spaces during our day. For example, we had the ceremony outside on a golf course, the cocktail hour on a deck 500 ft away, dinner in a dining hall on the other side of the resort, and the dance at the main lodge. Let Us Help You Design Your Dream Day! Add more lighting to customize your day!